On behalf of John Wolfhope of Freese & Nichols, Inc., President of the USSD Board of Directors, and Dina Hunt of MWH, Chair of USSD’s 2017 Annual Meeting Planning Committee, it is our pleasure to issue this Call for Papers for USSD’s 2017 Annual Meeting. 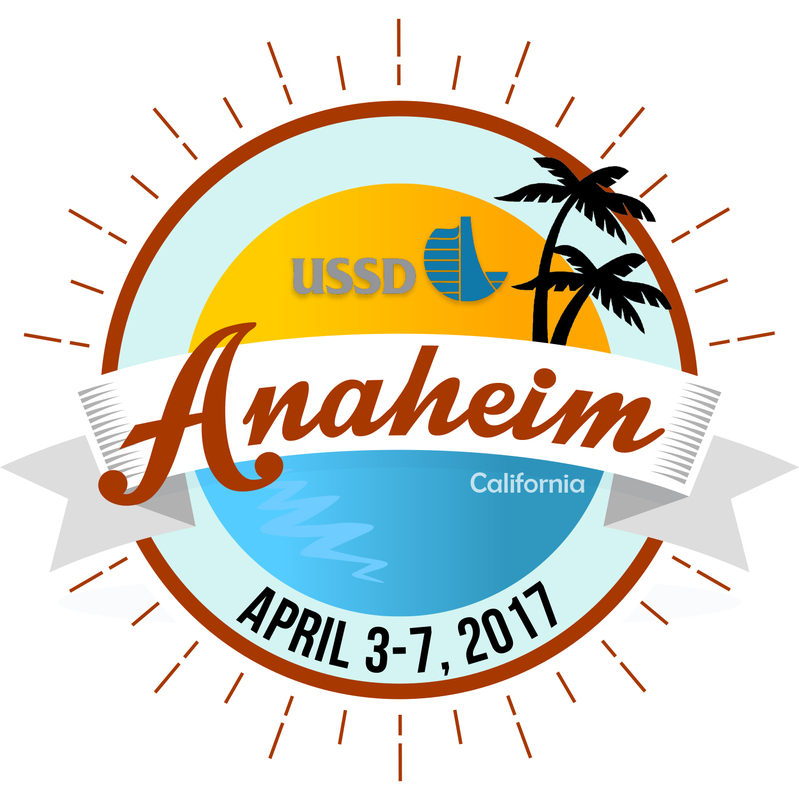 Our 2017 event will be held at the Marriott Hotel in Anaheim, California from April 3-7, 2017. Our Host for the 2017 USSD Annual Meeting and Conference will be the California Department of Water Resources, Division of Safety of Dams. USSD and ICOLD Members as well as all professionals involved in dams, levees, and water resource engineering are invited to submit abstracts for proposed papers. Authors are asked to submit abstracts that generally fall within the scope of the Conference Theme [It’s a Small World: Managing Our Water Resources] or correspond to the topics addressed by the USSD Technical Committees [see the link to more information below]. Young Professionals (under age 35) are encouraged to submit abstracts, and will receive a reduced Conference registration fee. Planning committee members and session moderators are prepared to offer advice and support throughout the process, from submitting your abstract, to preparing the draft paper, to finalizing your presentation. All presenters, including those in oral sessions and the poster session, are strongly encouraged to prepare a paper, which will be included in the electronic Conference Proceedings. As USSD’s mission is to be the premier source for technical information about dams and levee systems; the Planning Committee will favor acceptance of abstracts from authors who indicate that they will prepare a paper. Authors will be expected to submit a draft paper for peer review. Following this review, authors will prepare final papers. USSD Seeks to increase Collaboration by building networks and relationships to strengthen the community of practice – Create outstanding Education efforts and be the premier source for technical information about dam and levee systems. – Through effective Advocacy, champion the role of dams and levees in society – and Cultivate relationships to nurture the growth of the community of practice.